Pete Comodeca's primary focus areas are construction, energy and complex contract law. Pete advises and guides clients on matters related to federal government contracts; oil and gas; import/export compliance and agency regulation; international law; and business, corporate and commercial litigation and arbitration. Pete offers experienced analysis with respect to dispute resolution of matters involving domestic and international commercial contracts, distributorship agreements, construction issues and government contracts. He also counsels international and domestic clients regarding U.S. Customs port-of-entry, import/export, and compliance programs. Pete negotiates and facilitates federal lease agreements, commercial and construction contract claims and disputes, and federal agency regulatory issues. He advises publicly traded and closely held corporations on federal quality and ISO requirements as well as federal agency regulations. Pete has been listed as one of "America’s Leading Lawyers" in Chambers USA, most recently in 2017 for Construction law. He also was selected for inclusion in The Best Lawyers in America© 2019 in the areas of Construction Law and Litigation - Construction. Pete has an AV Preeminent Rating from Martindale-Hubbell and is listed in Corporate Counsel’s 2012 Top Rated Lawyers Guide to Alternative Dispute Resolution. Pete is a LEED (Leadership in Energy and Environmental Design) Accredited Professional and counsels clients in achieving LEED building certification. He is a member of the American Arbitration Association’s Blue Ribbon Panel of Arbitration and frequently serves as an arbitrator or mediator in construction, commercial and international disputes and mass tort claims. He is an arbitrator for the International Chamber of Commerce. Pete frequently serves as sole arbitrator or mediator in multi-million-dollar domestic and international disputes between engineering firms and between contractors on construction, infrastructure, and oil and gas projects. He was also the inaugural Chairperson of the Lex Mundi Construction and Infrastructure Practice Group. 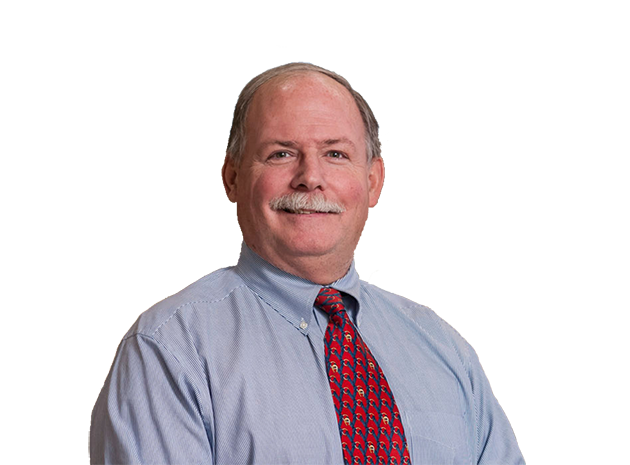 Pete has served as an adjunct professor at Case Western Reserve University and a frequent lecturer at professional and legal seminars. He served as an inaugural trustee for the Bay Village Foundation. Pete served as a prosecutor in the U.S. Army, continuing his distinguished military service there as a Department of Defense litigation attorney. He joined Calfee in 1990 and became a partner in 1993. He is currently semi-retired and serving as senior counsel. Pete is a member of the American Arbitration Association’s Blue Ribbon Panel of Arbitration and frequently serves as an arbitrator or mediator in construction, commercial and international disputes. He is on the international arbitrator roster for the International Chamber of Commerce (ICC), the International Centre for Dispute Resolution (ICDR), and the London Court of International Arbitration (LCIA). He served as faculty for the American Arbitration Association’s Presentation of Evidence in Arbitration seminar. Pete has spoken in such arenas as the American Bar Association Annual Convention, The American Bar Association Forum on the Construction Industry, Construction Superconference, International Energy Conference on developing, constructing, operating and securing international energy/power projects, Airport Counsels Institute, Thomson Reuters Expert Witness Services, Ohio Mechanical Contractors’ Association, Cleveland State University’s Executive MBA Program, International Bar Association, American Arbitration Association and Price, Waterhouse & Cooper, Inc.
Presenter, “Protecting Your Organization in the Maze of Import/Export Compliance Regulations,” Calfee, Halter & Griswold LLP Compliance Seminar, May 12, 2016. Presenter, “Real-Life Indemnification Provisions Gone Wrong: Top Attorney Mistakes,” Ironclad Indemnification Provisions in Legal Contracts, National business Institute, September 29, 2015. Presenter, “What You Wish You Knew About Export Compliance,” a Thomson Reuters Webinar, May 26, 2015. A published author, Pete has been featured in Thomson Reuters/Aspatore, The Construction Lawyer, Builders Exchange, Insights magazine of Willamette Management Associates and Willamette Capital, Contract Management, Dispute Resolution Journal, and NACVA, News for the Financial Consultant.